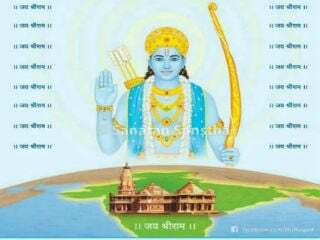 Ramnathi (Goa) : Arjun preferred to be with Bhagavan Shrikrushna during war and not with Shrikrushna’s army. 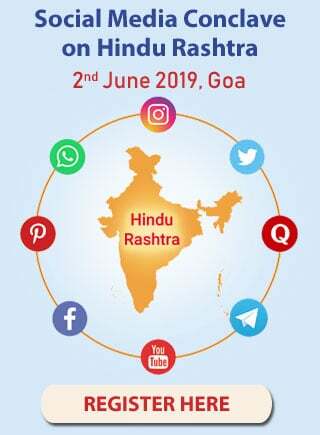 Similarly, we can also acquire spiritual strength by practising spirituality while working for ‘Hindutva’, stated Sadguru (Dr.) Charudatta Pingale, national Guide of Hindu Janajagruti Samiti (HJS) while guiding ‘Hindutvavadis’ in one-day workshop held at Ramnath shrine on 8th June with the purpose of emphasizing importance of spiritual base necessary for carrying on ‘Hindutva’ activities. 60 ‘Hindutvavadis’ from various parts of India attended the workshop. 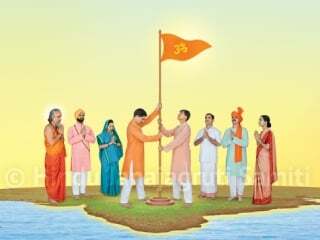 Guidance was also given on subjects like ‘Removal of personality defects and ego for becoming ideal Hindu Rashtra Coordinator’; ‘Solutions and spiritual remedies on negative energies’ distress’; ‘Chanting as per the times’, ‘Importance of prayers’ etc. ‘Hindutvavadis’ frankly speaking about own expectations and negativity ! Group discussions were held during afternoon session on how to remove personality defects and ego. Participating ‘Hindutvavadis’ showed lot of enthusiasm throughout the workshop to learn about ‘sadhana’. 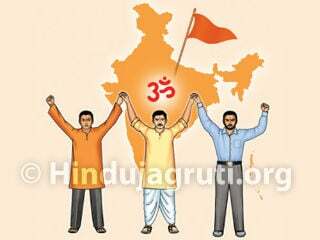 Many ‘Hindutvavadis’ frankly talked about their expectations while working for ‘Hindutva’ and negativity felt by them in certain incidents. They learned with interest about efforts required to be made from ‘sadhana’ viewpoint to overcome such defects. 2. 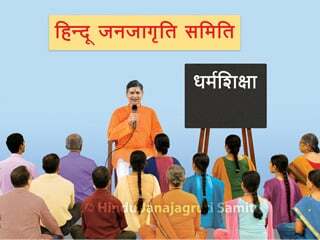 ‘Hindutvavadis’ frankly narrate own negativity and learning about overcoming it as part of ‘sadhana’ ! 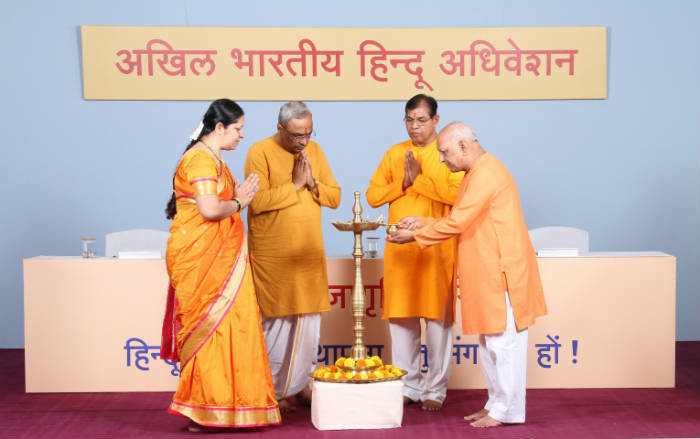 Leaders of pro-Hindu organizations like Adv. Rabindra Ghosh, the President of ‘Bangladesh Minority Watch’ and advocate practising in Bangladesh Supreme Court and his wife Sou. Krushna Ghosh; Shri. T.P. Raju from Kerala; Shri. Upananda Brahmachari, Editor of ‘Hindu Existence’ from Bengal also showed lot of interest in learning about ‘sadhana’ and frankly narrated incidents related to manifestation of their personality defects. 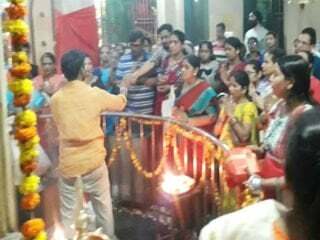 All these ‘Hindutvavadis’ are working with huge energy and positivity at such places where condition of Hindus is most pathetic. 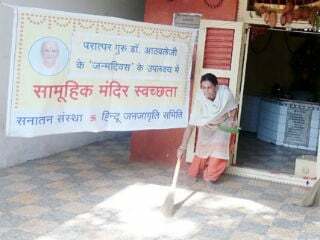 They told about negativity felt by them sometimes while working for Hindus and learnt about efforts to be made as part of ‘sadhana’ as solution.